NEW YORK, N.Y. (Nov. 17, 2011) — The New York Stem Cell Foundation (NYSCF) and the Harvard Stem Cell Institute (HSCI) today announced a joint effort to accelerate promising new treatments for devastating diseases such as diabetes, Alzheimer’s, Parkinson’s, ALS, cancer and heart disease through the drug discovery process. The agreement, announced today during an address by NYSCF CEO Susan L. Solomon at Harvard University, will allow drug discovery research projects to cross institutional boundaries to take advantage of the resources and expertise of both institutions. 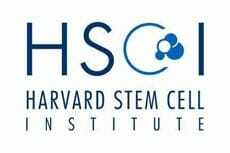 The collaboration will accelerate work being done at both HSCI and NYSCF laboratories in which stem cells are being used to recreate diseased cells, which are then used to screen promising new drugs for effectiveness. Currently, the National Institutes of Health (NIH) estimate that only one out of every 10,000 compounds discovered in drug discovery research is approved for clinical use, and treatments typically take 14 years and $1.2 billion before they are made available to patients who could benefit from them. The collaboration by NYSCF and HSCI seeks to move promising new treatments more quickly through drug screening and to clinical trials and patients. The HSCI/NYSCF collaborative effort will be implemented under the leadership of Lee Rubin, Director of Translational Medicine and head of the Therapeutic Screening Center at HSCI, and Stephen Chang, NYSCF Vice President of Research and Development.